In the Bag is Des Moines' place for corporate cuisine. 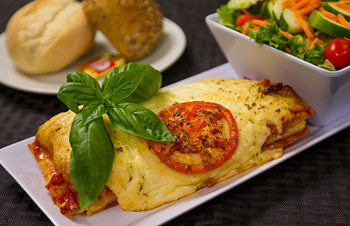 We deliver extraordinary, delicious lunches that are brought to you on time and presented with flair by people who sincerely appreciate your business. Whether it's an order of lunches, a tray full of delicious brownies for your co-workers or even a catered event, In the Bag strives to satisfy your lunchtime needs. Parties of 10 or 1,000! We can handle your needs! Hot dishes, cold sandwich, relish trays, and our famous cookies and brownies platters are waiting for your next event! Having a casual lunch meeting, department get-together? 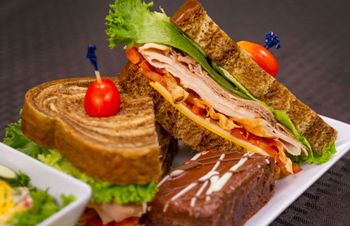 We can bring the whole group sandwiches with sides and dessert! 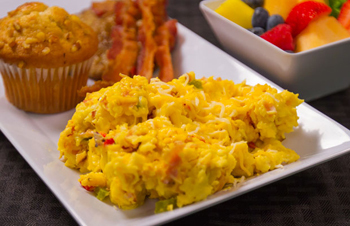 Start your day off right with our breakfasts. We can energize the whole crew first thing to keep them productive all day long!